We believe in creating a relationship with our patients that goes beyond the office doors. 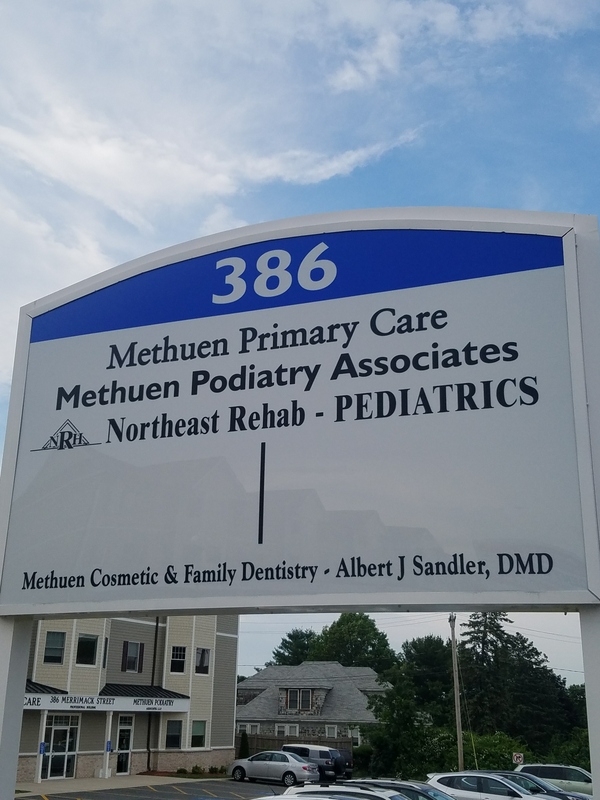 We've specially created this section of our site to share with you important news from our Methuen family dental practice. Enjoy a photo tour of our Methuen, MA dental office below! The results of three of four studies failed to show an association between dental procedures and prosthetic joint infections, and the results of the fourth study demonstrated a protective effect of dental procedures and prosthetic joint infections. Although the number of studies was limited, it is unlikely that the results of additional studies would have changed the conclusion. For patients with a history of complications associated with their joint replacement surgery who are undergoing dental procedures that include gingival manipulation or mucosal incision, prophylactic antibiotics should only be considered after consultation with the patient and the orthopedic surgeon. In cases where antibiotics are deemed necessary, it is most appropriate that the orthopedic surgeon recommend the appropriate antibiotic regimen and, when reasonable, write the prescription. The 2014 panel recommendations are based on a careful analysis of the available evidence to clarify the recommendations of the 2012 panel, which had been a source of concern for oral healthcare professionals. Additional factors considered against the use of antibiotic prophylaxis are increased risk of developing antibiotic resistance, risk for adverse drug reactions, development of Clostridium difficileinfection, and healthcare costs associated with prescriptions for this purpose. A potential criticism of the updated clinical practice guideline is that it is endorsed by the ADA only, whereas the 2012 guideline was endorsed by both the ADA and AAOS. These updated recommendations could cause conflict between dentists and orthopedic surgeons and potentially produce a deeper quandary for both providers and patients. There is a clear need for additional case-controlled studies to increase the level of certainty on this issue; however, the updated evidence-based clinical practice guideline is intended to provide clarity to oral healthcare professionals when considering antibiotic prophylaxis for patients with prosthetic joints and to improve the quality of patient care. Chester Higgins Jr. for The New York Times Do redheads feel more pain? Nobody likes going to the dentist, but redheads may have good reason. A growing body of research shows that people with red hair need larger doses of anesthesia and often are resistant to local pain blockers like Novocaine. As a result, redheads tend to be particularly nervous about dental procedures and are twice as likely to avoid going to the dentist as people with other hair colors, according to new research published in The Journal of the American Dental Association. Researchers believe redheads are more sensitive to pain because of a mutation in a gene that affects hair color. In people with brown, black and blond hair, the gene, for the melanocortin-1 receptor, produces melanin. But a mutation in the MC1R gene results in the production of a substance called pheomelanin that results in red hair and fair skin. The MC1R gene belongs to a family of receptors that include pain receptors in the brain, and as a result, a mutation in the gene appears to influence the body’s sensitivity to pain. A 2004 study showed that redheads require, on average, about 20 percent more general anesthesia than people with dark hair or blond coloring. And in 2005, researchers found that redheads are more resistant to the effects of local anesthesia, such as the numbing drugs used by dentists. The mutation in the MC1R gene also occurs in brunets, although it’s less common. In the latest study, the researchers tested for the MC1R gene variant, finding it in 65 of 67 redheads and in 20 of 77 people with brown or black hair. The participants were surveyed about dental-care anxiety, fear of dental pain and whether they avoid going to the dentist. People with the MC1R gene variant had more dental care–related anxiety and fear of dental pain than those without the gene variant. And they were more than twice as likely to avoid dental care. Dr. Daniel I. Sessler, an anesthesiologist and chairman of the department of outcomes research at the Cleveland Clinic, said he began studying hair color after hearing so many colleagues speculate about redheads requiring more anesthesia. After publishing research on the topic, Dr. Sessler began hearing from redheads who complained about problems with dental pain and fear about going to the dentist. He said that when someone with red hair is considering a dental or other procedure requiring an anesthetic, they should talk to their doctor about the high probability that they are resistant to anesthetics. The American Dental Association and the American Academy of Pediatric Dentistry reccomend that children should see a dentist at age one, or within six months of the first baby tooth coming in-which ever comes first. This initial dental visit, which is typically more about educating the parents than it is about intensive treatment of the child, establishes the groundwork for a dental home for the child and for continueing preventive care. Children who see a dentist for the first time at age one versus age three, will suffer half the dental disease over their lifetime! • All dental staff involved in patient care scrub their hands before each and every patient and use appropriate protective garb such as gloves, masks, gowns and eyewear. A new set of gloves and masks are used for each patient. • Before you enter the examining room, all surfaces, such as the dental chair, instrument tray, dental light, drawer handles and countertops, have been cleaned and decontaminated. • Non-disposable dental instruments are cleaned and sterilized between patients. In my office we sterilize instruments using an autoclave which involves steam under pressure. The autoclave is tested weekly to insure optimum performance. • Disposable items like needles or gauze are placed in special bags or containers for special, monitored disposal. • Your well-being is important to me and my staff, which is why we follow stringent infection control procedures and comply with all state regulations for the protection of patients. • You can visit the American Dental Association’s website at www.mouthhealthy.org and use the search term “infection control” to see a video on this topic. The website has a lot of information to help you take care of your oral health, too. Spending time in the sun may be good for your teeth. Researchers who took a look at a series of clinical trials conducted on 2000 children in several countries between the 1920's and the 1980's determined vitamin D- which we often garner from sunlight- was associated with a 50% reduction in the incidence of tooth decay, according to the December issue of "Nutrition Reviews." The trials increased Vitanin D levels in children through the use of supplemental uklltraviolet radiation, cod liver oil, or other products containing the vitamin. Subjects were between the age of 2 to 16, and lived in the US, Great Britain, Canada, Austria, New Zealand , or Sweden. Dr Phillipe Hujoel at the University of Washington Dental School commented, "pregnant women or young mothers can do little harm by supplementing vitamin D in their children's diets. Vitamin D does lead to teeth and bones that are better mineralized." The American Academy of Orthopaedic Surgeons (AAOS) and the American Dental Association (ADA), in a collaborative 325-page document released December 18, 2012, found insufficient evidence to recommend the routine use of antibiotics for joint replacement patients. 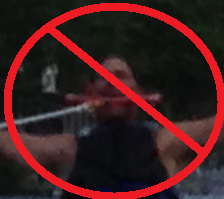 They advised that there is no direct evidence that routine dental procedures cause prosthetic joint infections. This new guideline updates the previous recommendations from 2009 of providing antibiotic prophylaxsis for all joint prosthetic patients. Thus, many patients now will no longer need antibiotic prophylaxis.According to the work group, these new guidelines were based on clinical research which examined a large group of patients, all having a prosthetic hip or knee and half with an infected prosthetic joint. The research showed that invasive dental procedures, with or without antibiotics, did not increase the odds of developing a prosthetic joint infection. This new guideline issued three recommendations along with strength of evidence as the basis for the recommendation. This guideline can be accessed at the following URL:http://www.ada.org/sections/professionalResources/pdfs/PUDP_guideline.pdf. Once again we are collecting toys in our office for the US Marines holiday Toys for Tots program. Please consider dropping off a new, unwrapped toy to make some little one's christmas a little brighter. Toys are usuallly picked up by Dec 17th. Let's see if we can get the toy collection box overflowing! Happy Holidays!